Gita Mittal Foundation, Jaipur was affiliated by India's First Government Skill University set up by Govt. of Rajasthan the Rajasthan ILD Skills University (RISU),Jaipur for conducting Diploma and Junior Diploma Courses.RISU has been incorporated as Rajasthan Government State University vide Act No. 6 of 2017. Dr. Lalit K. Panwar, former IAS and Ex-Secretary, Govt. of India has been appointed as first Vice Chancellor of RISU. Twenty-two skill related institutions have been affiliated so far and more than 1000 students are pursuing skill based studies in these institutions. The affiliated institutions have commenced first session from July, 2018. RISU is an effective institutional intervention to implement National Skills Qualification Framework in the State. Being a Government University, RISU is the affiliating body for a large number of institutions operating in skill and vocational training. Deendayal Antyodaya Yojana-National Urban Livelihoods Mission (DAY-NULM):To reduce poverty and vulnerability of the urban poor households by enabling them to access gainful self employment and skilled wage employment opportunities,resulting in an appreciable improvement in their livelihoods on a sustainable basis,through building strong grassroots level institutions of the poor.The mission would aim at providing shelters equipped with essential services to the urban homeless in a phased manner.In addition,the mission would also address livelihood concerns of the urban street vendors by facilitating access to suitable spaces,institutional credit,social security and skills to the urban street vendors for accessing emerging market opportunities. 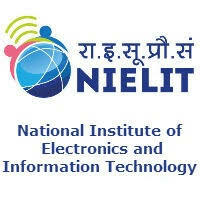 Gita Mittal Foundation, Jaipur was accredited by NIELIT, DeitY, GOI in 2012 for conducting their “O” Level Software course. Gita Mittal Foundation, Jaipur was accredited by NIELIT, DeitY, GOI in 2013 for conducting their Course of Computer Concept(CCC). GMF,Jaipur is conducting, One year duration NIELIT ‘O’ level computer training of 50 SC / ST job seekers. These job seekers were selected and sponsored by the DGE&T, Ministry of Labour & Employment, Government of India. GMF, Jaipur has been also accredited by NIELIT for Computer Hardware Maintenance Course CHM –’O’ level. The accreditation from 7/4/2015., with accreditation No. 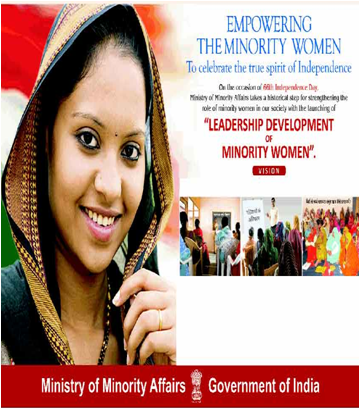 : PAJ1101 – DGET, GOI has also sponsored 36 candidates for program in 2015-16. Vocational Training Provider Status under SKILL DEVELOPMENT INITIATIVE SCHEME (SDIS) of DGET, Govt. of India. On 5th July 2014 Rajasthan Skill Development Initiative Society (RSDIS) published an advertisement for institutes to become Vocational Training Providers ( VTP) under SDIS of DGET, GOI. GMF, Jaipur, after successful inspection and related fulfillment has signed an MoU with the State Government Society (RSDIS) and declared as Vocational Training Provider (VTP). The MoU was signed on 19th Feb. 2015. 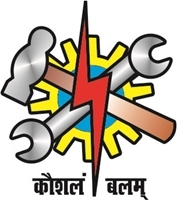 First program of Domestic Electrician under this scheme concluded on 5th October 2015. 13 out of 15 declared passed by RDAT, GOI. All training program would be available free of cost to the unemployed youth under this scheme while after passing an examination NCVT, GOI provides certificate for the same. Pradhan Mantri Kaushal Vikas Yojana (PMKVY) is the flagship scheme of the Ministry of Skill Development & Entrepreneurship (MSDE) Govt. of India. 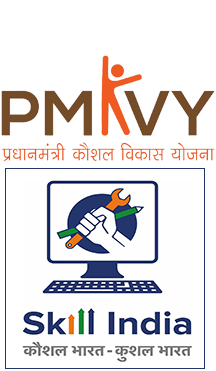 GMF, Jaipur has accredited for PMKVY – Domestic Data Entry Operator (DDEO) program in February 2017 and the target was allocated to train 240 students in 2017-18. 10 batches of DDEO program (of 30 each) has been successfully completed from 5th may 2017 to 9th July 2018. Ministry of Minority Affairs, GOI has screened the Gita Mittal Career Development Centre, Jaipur for Leadership Development Scheme for Minority Women called ‘NAI ROSHNI’ for f.y. 2013-14.The Centre has been placed at 9th rank out of 30 institutions in Rajasthan with 85% marks. Total 137 women were trained under the program between March and June 2014. The Gita Mittal Career Development Centre, Jaipur has been registered as authorized Gyan Kendra of RKCL in December 2010. RKCL’s RS-CIT program is notified by the State Government for the job purposes.More than 300 students got trained in RS-CIT at our Centre. In RS-CIT the certificate is given by the Vardhaman Mahaveer Open University, Kota. Apart from this the Centre has organize training for Rajasthan Police Department officials – 254 police persons get trained under CCTNS program. The Centre was honored as authorized examination Centre of RKCL during 2011-2013 to conduct online examinations of RS-CIT. One of our student Ms. Neetu Agrawal got 100% in February 2015 examination event of RS-CIT. She was among 10 out of 90,000 students who appeared for the exam.